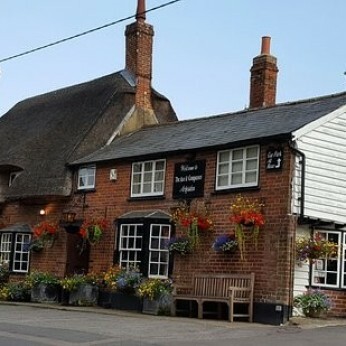 The Axe & Compasses, in Arkesden, is 5 miles South West of the market town of Saffron Walden.It is one of the finest examples of a traditional country pub and restaurant and is a popular stop amongst both locals and tourists visiting the county of Essex. The combination of a family run business, friendly atmosphere and exceptional food has been the key to our success of The Axe and Compasses for more than 20 years. Situated in the picturesque rural village of Arkesden,we provide a warm homely welcome to all. Built circa 1650, with the right hand side extension added in the early nineteenth century The Axe & Compasses is a stunning example of one of Essex’s charming traditional thatched inns. We are proud to be star rated in many of the national guides with special awards for excellence in food and service. Amongst our accolades we have been awarded National Winner of the best food pub and the regional winner for the best customer service. The daily telegraph has described us as "One of the best pubs in Essex". We're really sorry but we don’t seem to have any offers or events for Axe & Compasses. We're sure there must be something happening here but they just haven't told us about it! Please do mention this to Axe & Compasses when you next visit them.